Juneberry Lane: FROSTED: Food Artistry At Its Sweetest! For the past few weeks I have shared yummy dessert recipes that focus primarily on the amazing taste of the food; but, while a crowd pleasing confection must delight everyone's tastebuds, it also has to be visually stunning! 1. Cut the lace into 12 squares. Place a square of lace over the cupcake and generously sift powder sugar over the top. Only use one piece of lace per cupcake. Carefully take the piece of lace off the cupcake. Large cutting board, baking sheet, or other flat surface lined with Silpat or parchment paper. Baking sheet lined with Silpat or parchment paper. 1. Place 1/2 cup sugar in a medium bowl. Add a small amount of paste food coloring (the pictures use Wilton's Rose and Violet), and mix thoroughly. This will make the darkest color. A little bit of paste food coloring goes a long way and will darken once liquid is added in the next step. Add more if needed until desired color is achieved. Add 1 teaspoon of egg white or meringue liquid and mix thoroughly until the mixture resembles wet sand. Be careful not to add to much liquid or it will dissolve the sugar. 2. Empty contents onto Silpat or parchment lined cutting board or baking sheet. Spread with hand or spatula and pat down, then roll over mixture with rolling pin to compress. Ideally, the flattened mixture should be as compact as possible and level, about 1/4". Press cookie cutter into mixture and lift up. Place hearts on lined baking sheet. If cutter will not release heart, gently tap with the back of a butter knife. Repeat 10-20 times or as many as desired. If hearts will not hold their shape, add more egg white or meringue liquid in small increments and mix thoroughly. If sugar builds up in cutter, rinse with warm water and pat dry before continuing. Pour remaining colored sugar back into bowl. 3. Add 1/2 cup sugar to colored sugar to lighten. Mix thoroughly. Add 1 teaspoon egg white or liquid meringue. If desired color is not achieved, continue adding additional 1/2 cup sugar plus 1 teaspoon egg white or liquid meringue and mixing thoroughly until desired color is achieved. Repeat Step 2. 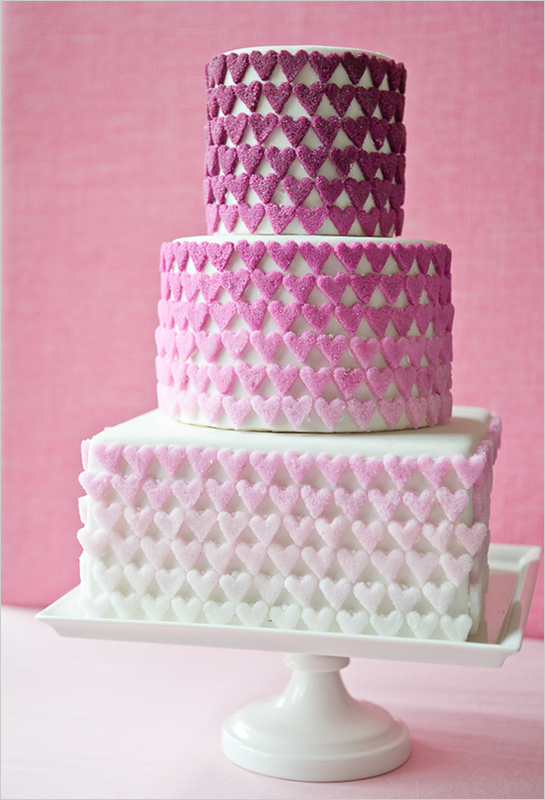 Continue with Steps 2 and 3 until desired shades and number of sugar hearts are achieved. I recommend at least three to five shades. 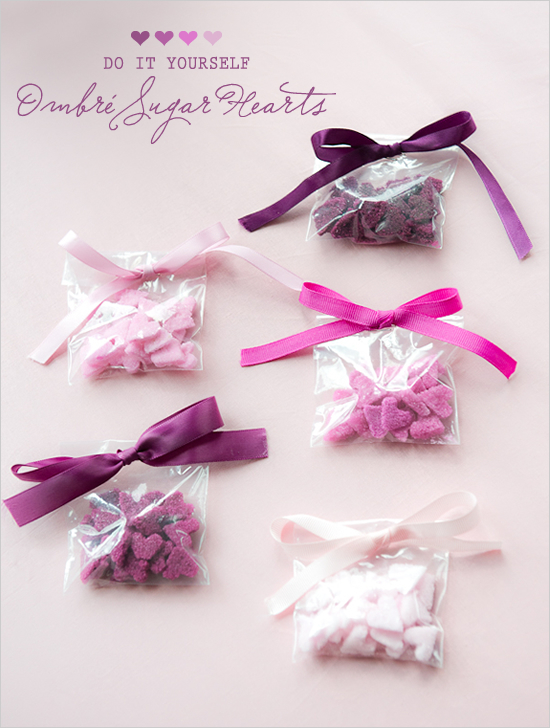 Leftover sugar can be stored in ziplock bags for future use. 4. Heat oven to 200 degrees. Heat hearts in oven for 10 minutes. Allow to harden overnight. Sugar hearts will be the consistency of sugar cubes. Extremely simple...and so delightful to look at! Plus, there are so many different variations of lace designs and color patterns that can be used to compliment any event. Consider serving a variety of lace pattern cupcakes at a vintage bridal or baby shower (possibly served on your Burlap and Lace Dessert Table), or decorating a pink ombre cake with little hearts and stars for your tween daughter's birthday party. 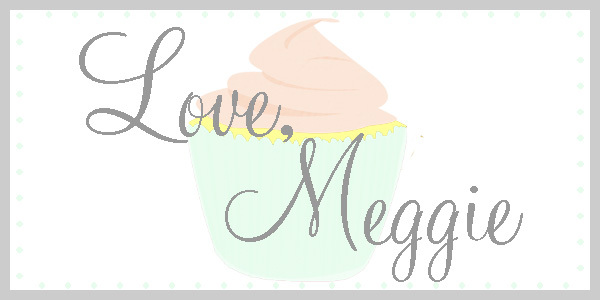 Now, not only will your treats taste scrumptious, but they will also look one-of-a-kind and fabulous. Have a wonderful weekend!